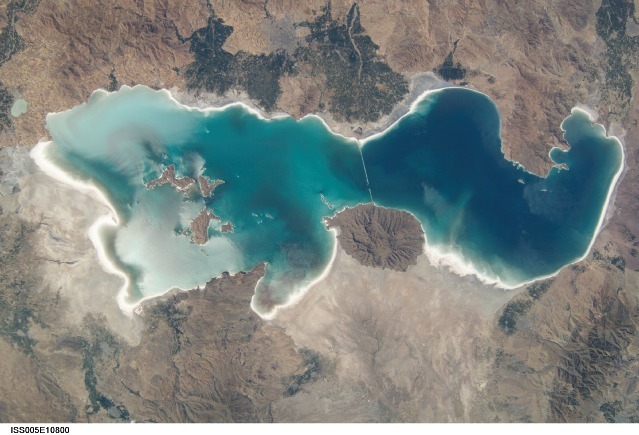 A salt lake in Iran has given rise to a new species of algae for biofuel. This is the large salt lake “Urmia”. Are the Iranians looking for biofuel alternatives such as algae to dangerous and polluting nuclear power? Iran Daily reports that researchers at Iran’s Shiraz University have succeeded to make biofuel from algae, a new kind of algae for biofuel Science Direct reports. Either the threat of increased international sanctions is finally convincing the Iranians that so much emphasis in “going nuclear” is not good for them in the long run. Or, perhaps, the mullahs there are realizing that there are feasible alternatives to using enriched uranium to provide fuel, as well as for using their petroleum reserves which someday will be depleted. The production of biofuels from algae and other sources is the only resource humans hope to have in future. During photosynthesis, algae and other photosynthetic organisms capture carbon dioxide and sunlight, and convert it into oxygen and biomass. These fuels do not affect freshwater resources, can be produced using ocean and wastewater, are biodegradable and relatively harmless to the environment if spilled. Algae farms can be hooked onto existing power plants and be used as huge carbon sinks. Using algae as a biofuel doesn’t seem compatible with the Islamic Republic right now, vociferous for its nuclear ambitions. But it may be a means for the liberal people in the country to make change from within. Turning this common aquatic plant into a good quality biofuel is the focus of several projects underway in Israel, including joint projects with NASA to fuel spaceships sending astronauts into space; and with the Chinese by utilizing “flue gasses” from power plants. And of course the country is home to the godfather of algae for biofuel, Isaac Berzin. But the Iranian algae biofuel project is no joke: it’s being carried our by researchers at Teheran’s Shiraz University who succeeded in producing green fuel from the algae Chlamydomonas. 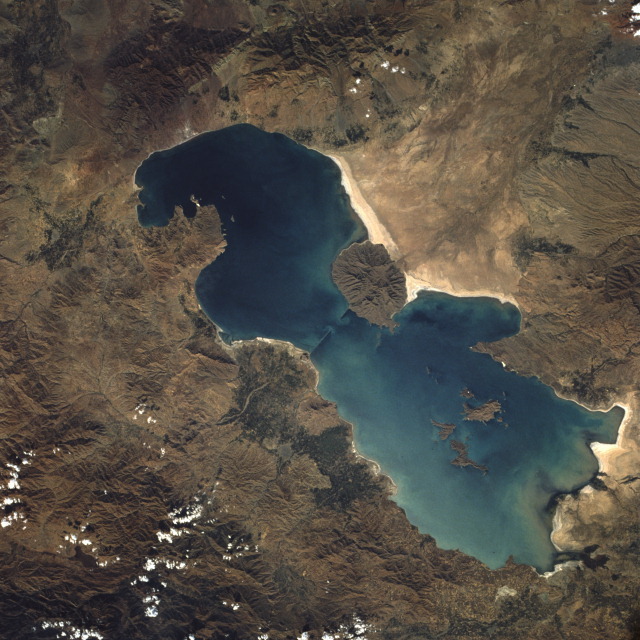 The microalgae were isolated during a screening program from soil and water samples collected from paddy-fields of Fars province and the Maharlu Salt Lake, and the researchers registered their findings at the National Center for Biotechnology Information (NCBI) which is based in the USA, making the connection with biofuels from Algae in Iran even more bizarre. Or not? Dr. Morowvat went on to say that Iran, like many other countries, is working on projects to find new energy form biofuels. Iran, which still has at least 10% of the world’s supply of oil, and whose government seems emphatic on developing a large scale nuclear energy program as well as possibly becoming a nuclear power, seems also to be exploring both alternative and renewable energy possibilities as well, and has even embarked in a solar energy project reported on Green Prophet a year ago. Not more has come of it though, as it seems. Perhaps reason and sanity might eventually prevail in a country which seems determine to develop a potentially destructive genie, that once let out of the bottle could b e very disastrous for Mankind – especially for the State of Israel, Europe and the US – all entities which are very much involved in both alternative and renewable programs, including these “green” micro-organisms, that “capture carbon dioxide and sunlight, and convert it into oxygen and biomass” and which can be grown in both salt and waste water. If only Iran’s more radical leaders, especially President Mahmoud Ahmadinijad, could be persuaded to pursue energy projects such as solar energy and biofuels, instead of nuclear energy. According to this April, 2009 article, the Iranians are also interested in producing ethanol from plant waste. So far just talk and no action, that we can report on yet. So how comes an Eco Terrorist group is paying the JP to host its fantasy articles trying to disguise the fact the barbaric iranian regime is developing nuclear weapons which they claim are power plants. I think the US is afraid of Iran's megalomaniac leader. Cool. Maybe if they went exclusively to algae bio-fuels the US would still want to invade them for oil. Very encouraging news. I heard Iranians are amazing scientists, especially in chemistry. I hope they continue to use their power in positive directions.